BRANDON, Man. 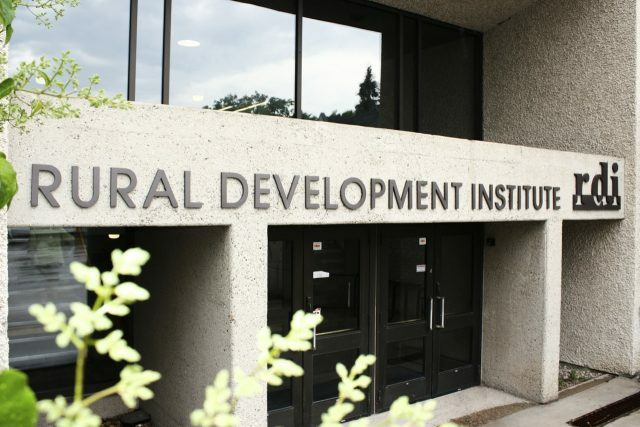 — Language barriers and transportation are some of the common challenges for refugees settling in rural Manitoba based on case studies by the Rural Development Institute (RDI) at Brandon University (BU) that looked at five communities. The case studies were carried out in conjunction with the Manitoba Association of Newcomer Serving Organizations (MANSO) through funding from Immigration, Refugees and Citizenship Canada. Researchers from RDI conducted 30 interviews with senior officials of service providers and representatives of refugee sponsorship groups in the communities of Boissevain-Killarney, Dauphin, Morden-Winkler-Altona-Carman, Portage la Prairie and Steinbach-Kleefeld. The communities were chosen to represent a sample of Manitoba’s smaller cities and larger towns that have recently received or are expecting an influx of refugees. Language, including the availability of interpreters and opportunities for the immigrants to learn English, was a common issue. Transportation, particularly to reach employment and other services, was also cited in many of the interviews. There were also common successes, including the efforts of volunteers, while members of the communities were found to be friendly and welcoming. With the smallest population of the case studies, Killarney-Boissevain was cited for a lack of available services, but also was considered to be safe and affordable for the refugees. Larger communities had more services for newcomers, but housing affordability tended to be an issue. Between Nov. 4, 2015 and Aug. 1, 2016, about 30,000 Syrian refugees settled in Canada, including more than 1,000 in Manitoba. This research project builds on a 2015 report on immigration settlement services across Western Canada by RDI and Immigration Research West. “The Rural Development Institute is playing a vital role in analyzing and understanding the successes and the challenges our communities face in facilitating immigration,” says Heather Duncan, Associate Vice-President of Research at BU. The full reports are available online at brandonu.ca/rdi/publication/immigration-in-5-rural-manitoba-communities-with-a-focus-on-refugees/.